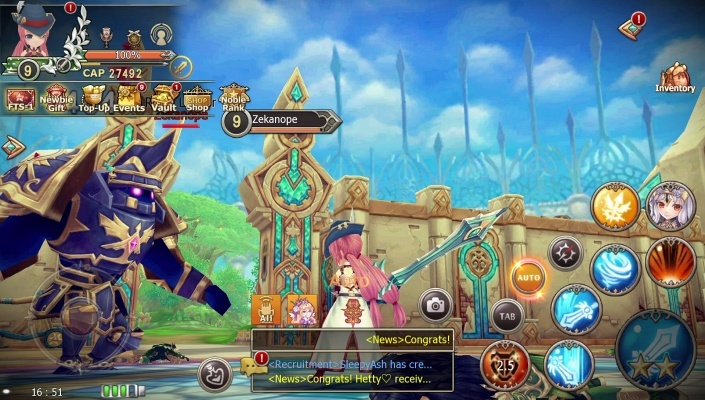 An extraordinary real-time Kingdom War MMORPG that overthrows your imagination of traditional war games. 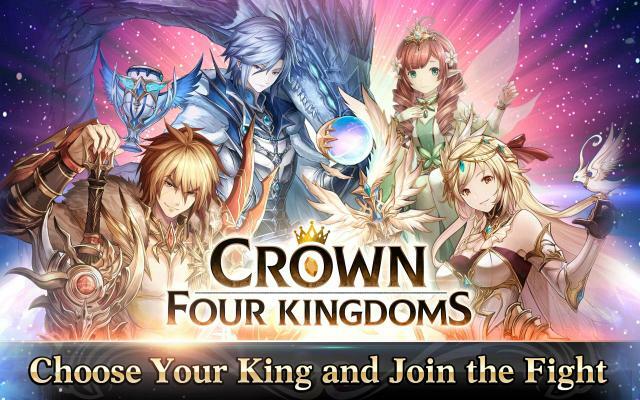 Get ready for the coming "Crown Four Kingdoms" with millions of players around the world ! 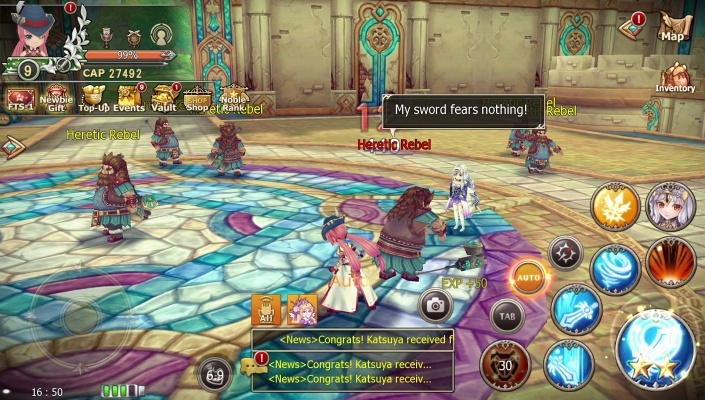 Battle it out in high-quality 3D stages and anime-style character ! And don't forget to party with your clans and heroes to fight against rival kingdoms from across the globe ! 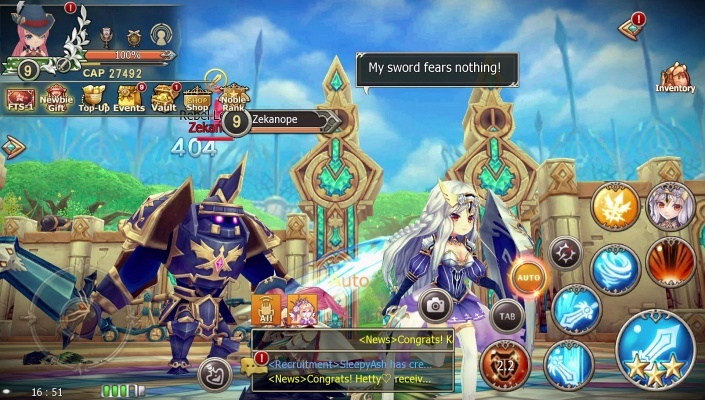 - Real-time Massive Kingdom War - Choose your king and join the fight! Attack or Defense ? Hundreds of players join in ferociously on the battle of attacking and defending to rejoice the passion of war ! - Build Your Empire - Become the guild master of the largest guild and rule the kingdom ! Assign reliable members with official positions to share the authority together ! - 4 Astonishing Classes - Develop your potential and switch between different jobs whenever you want ! 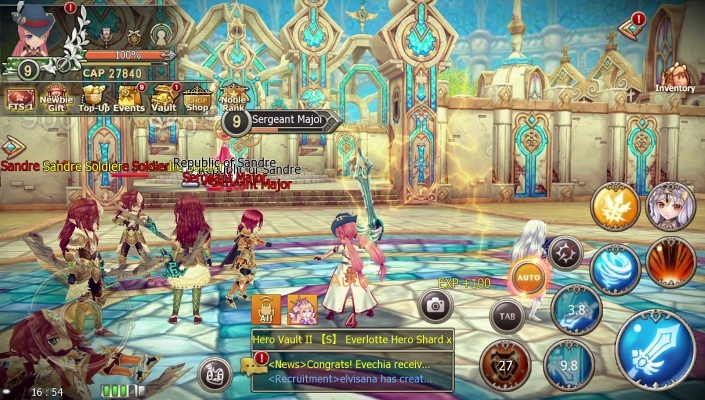 - The Most Trustworthy Heroes - Your best companion through the adventure! 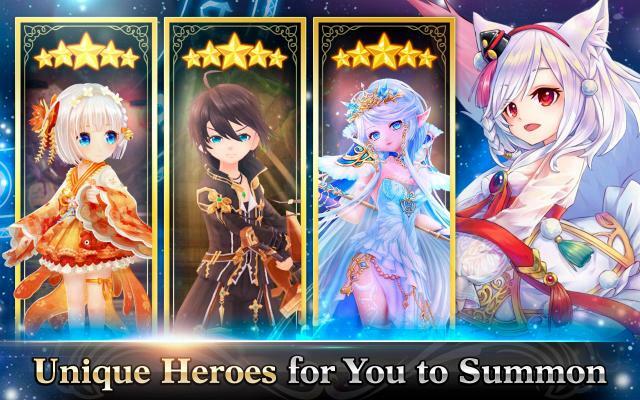 Enjoy summoning numerous charming heroes and various costumes ! - Wear Your Style - All kinds of appealing fashion costumes . You are free to highlight your personality in the game easily . - Rich Comprehensive Content - Go on an adventure by traversing through unique 3D landscapes and stunning animation scenes . Take up exciting Missions and Challenges daily and get fantastic rewards . 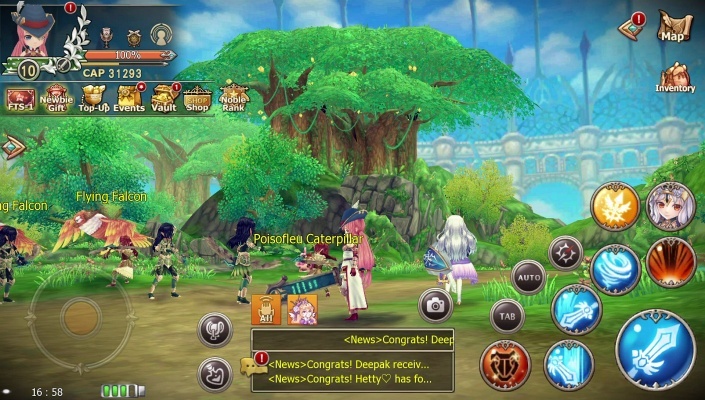 Various Life Skills, Alchemy, Finding Wanted, Sail, Music and more mini-games .